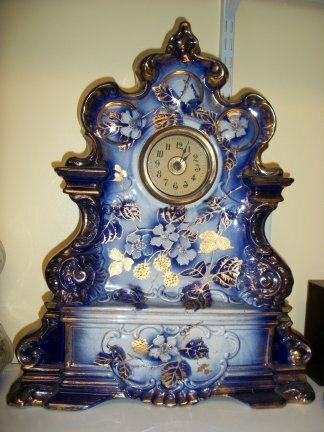 This is a very large china clock, approximately 20 plus inches. It has a 30 hour movement and has a balance wheel escapement. The case is in perfect condition. 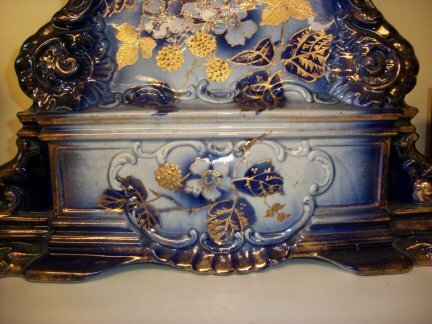 It is hand painted and has 14k gold fired onto the case for detail. 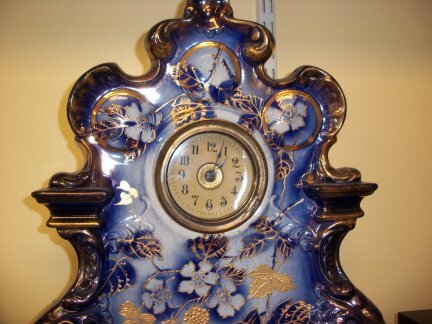 Close up view of this clock, extremely detailed. Close up of the bottom of the case.